The frustration and anger with criminals and the accountability needed to curb criminal activity are real, intense and rightfully enraging our communities. Blaming the rise in crime on Senate Bill 91 is over the top and counterproductive. The blame belongs on criminals. The answer from lawmakers, police, courts and victims is found in laws that work; laws that hold people accountable for their crime, increase public safety, change criminal behavior, demand restitution, facilitate swift action by our legal systems, protect victims, protect individual rights, and provide a way of re-entering society safely and productively. Crime started rising years ago because of the heroin epidemic, a tough recession, and short funding for prosecutors and police. With 7,000 crimes not being prosecuted over the past few years, it's clear the laws are sufficient but the resources are not. Sitting in jail for some time had not deterred enough people from crime. A two-thirds return rate to jail showed that too many were reoffending within three years on new convictions of crime. 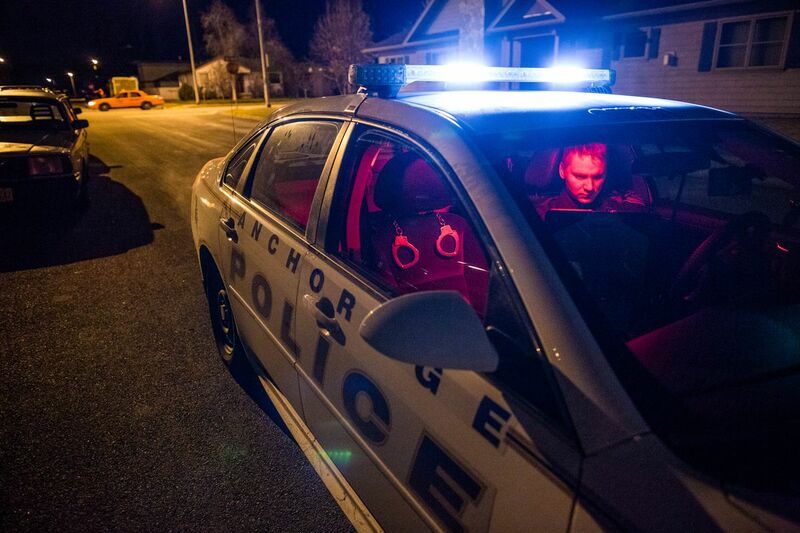 In 2014, the Alaska Criminal Justice Commission was created. In 2016, after the most comprehensive study of Alaska's criminal justice system ever undertaken, the commission's recommendations came in the form of a list of changes in criminal law that I introduced as SB 91. These recommendations were the product of a year of intense commission meetings with input from the public, victims' advocates, police, judges, and lawyers, both defenders and prosecutors. SB 91 was heard in five separate committees that collectively held over 50 committee hearings. Many hours were spent debating each provision, as well as the major policies. The bill was changed significantly during the process to make improvements and address concerns. A year later, as implementation of the new law went into effect and law enforcement and the public voiced concern over some areas, the commission recommended tweaks that led to Senate bills 54 and 55. They did not recommend a complete rollback of SB 91, and neither should we. Some were technical and were put into SB 55, which became law. Some were substantive, which were put into SB 54. The Senate passed SB 54 but the bill remains in the House of Representatives. Since the governor put this on the call for the next special session I expect that it will become law. The three major policies in SB 54 are: (1) jail time for first-time, class-C felons; (2) graduating penalties for misdemeanors; and (3) return to criminalizing violating conditions of release from jail. As far as I understand, debate on the length of possible jail time for first-time C felonies is the major sticking point. With the passage of SB 91 murder has a higher minimum sentence, probation supervision was strengthened by creating a system of swift and certain sanctions, high-level drug dealers receive greater penalties than low-level dealers, effective drug programs and supervision get funded through reinvestment of millions of dollars, victims get more notifications and input into plea deals, restitution is better enforced, and judges are required to consider a risk assessment score based on public safety. Let's stay focused and not react in a way that undoes a success-driven approach and fail in making what we all want: less crime and safe homes and businesses. These reforms are working all over the country. I welcome a policy conversation about crime and justice — we've been having it for decades as crime has been increasing for years. The stakes for our safety are too high. The issue before us is passing SB 54 in this special session to answer the concerns of the people of Alaska. Now is not the time to stray from the commission's data-driven recommendations. This is exactly what the commission was created for. Sen. John Coghill, R-North Pole, has served in the Alaska Legislature since 1999 and was the prime sponsor of Senate Bill 91.